ST. GEORGE — After a witness pulled a gun on a 25-year-old man who was allegedly hitting a woman at a St. George residence Wednesday, the man fled the scene in the woman’s car before crashing it into someone’s front yard. He then ran away from the scene on foot. The man was located by police Saturday and subsequently arrested. 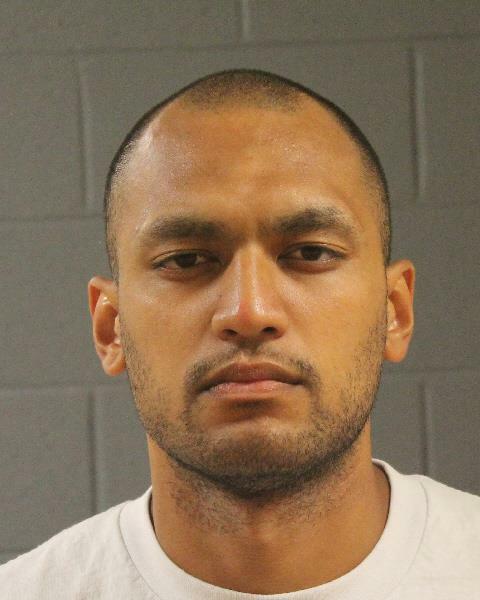 Officers met with a woman and a third-party witness who both said Judah Benjiman Lopini Katoa had physically assaulted the woman, according to a probable cause statement filed by the St. George Police Department in support of the arrest. Katoa allegedly pulled the woman’s hair to pull her down to the ground. The woman told police that Katoa had also pressed his forearm against her neck twice earlier and she had lost consciousness, according to the report. As Katoa was hitting the woman, a third-party witness drew a pistol and told Katoa to stop, the report stated. At that point, Katoa allegedly ran and got into the woman’s car and sped away. Moments later, a crash involving the woman’s car was reported near Tonaquint Drive and Escalante Drive in St. George. The woman’s car was severely damaged as a result of the collision and had to be towed from the scene. On Saturday, Katoa was located, arrested and booked into the Washington County Purgatory Correctional Facility. He was charged with second-degree felony aggravated assault; two third-degree felony counts of criminal mischief and joyriding; a class B misdemeanor for reckless driving; and a class C misdemeanor for failure to report an accident resulting in damage. Katoa is scheduled to make his initial court appearance Monday afternoon in 5th District Court. According to Utah court documents, this is not Katoa’s first run-in with the law. He was arrested on a riot charge and failure to disclose identity in December 2008 in which he pleaded no contest. He was convicted of possession of drugs and drug paraphernalia in July 2014 and criminal mischief in October 2015. Katoa is also currently facing a lewdness charge following an April 2015 incident to which he pleaded not guilty. A bench trial in that matter is scheduled for Feb. 16. So a gun helped save a person from a continuing beating? Imagine that. Build the wall ! TRUMP FOR PRESIDENT ! foreigners making trouble again. should of pulled the trigger.